Looking for antiques, eclectic finds, industrial treasures, and fabulous fabrics to complete your new design plan? Join us on October 14-15 at Silver Street Studios and get everything you need! As always, you'll always find food trucks, beer and wine, and puppies for adoption at the market! Kids 16 years and under are free. Well-behaved, leashed four legged furry friends are welcome! Tickets can be purchased for just $5 through Eventbrite. Hours are Saturday, 9am-4pm and Sunday, 11am-4pm. Looking for Antiques? Jewelries? Or designer fabric remnants that will complete your design plan? Then come pick up that rare find this SATURDAY, April 8! Bring your trucks, so you can load them up! Porters will be happy to assist you with the loading! 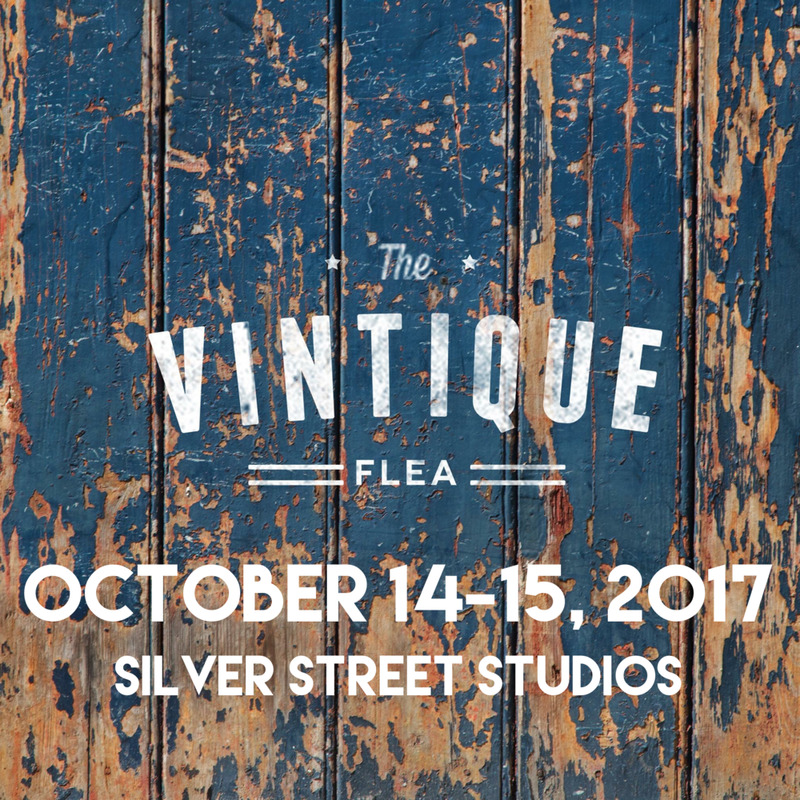 Vintique Flea returns to Silver Street Studios in November 2015 for a weekend of vintage, industrial, architectural salvage, and antiques. Don't forget to join us for beer, wine, and food trucks!